authority on trading system development, and he now shares his wealth of insights with you. Making all markets work - and much more. 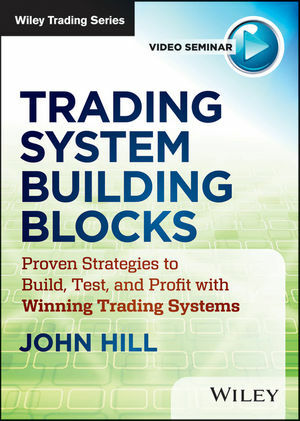 Construct a powerful, winning system - block-by-block - following Hill’s expert advice. BRIAN E. HILL holds a master's degree in business administration, with a specialization in finance. He worked in corporate planning with several large organizations before founding Profit Dynamics, Inc., a research and management consulting firm, in 1987. This firm has advised numerous small and midsized companies in the areas of writing business plans and finding capital. Clients have included technology and Internet companies as well as manufacturing, distribution, and service businesses.